There are several considerations: Codes vary from place to place, lifestyles vary from country to country, people want different things and will likely make changes to the basic plans any way. The houses are small and simple and so there’s no real need for plumbing and electrical details. Also, I’m trying to keep plan costs as affordable as possible. 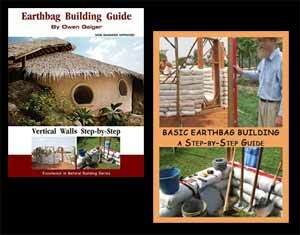 Our barn burned to the ground a few month ago and I would like to rebuild using earthbags. I’m trying to find a suitable plan. The square footage of the Summer Breeze would work, but I don’t know if it will be tall enough. What is the height of the walls in this plan? Can they be made taller and if so, how do I reinforce the extra height? Does the ebook give enough information to redesign where the windows and doors are to be placed? 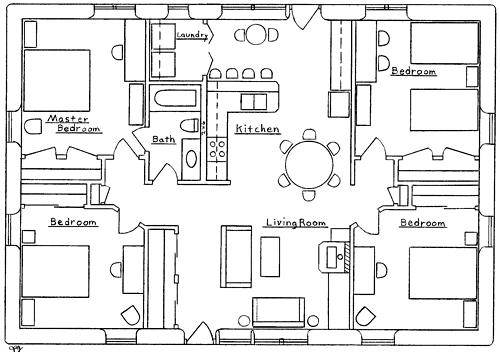 My standard plans show 8′ walls. It’s easy to make the walls higher just by adding another two courses of bags. 9′ high walls are standard in hot climates. The book explains how you can stiffen/reinforce walls by pounding 1/2″ rebar through the bags. The book shows every step of construction in detail with lots of high res photos and drawings. Start by building a tool shed or something to learn the basics at virtually no cost or risk.